What's more fun than to surprise someone with a jewelry gift with a card with a personal message? 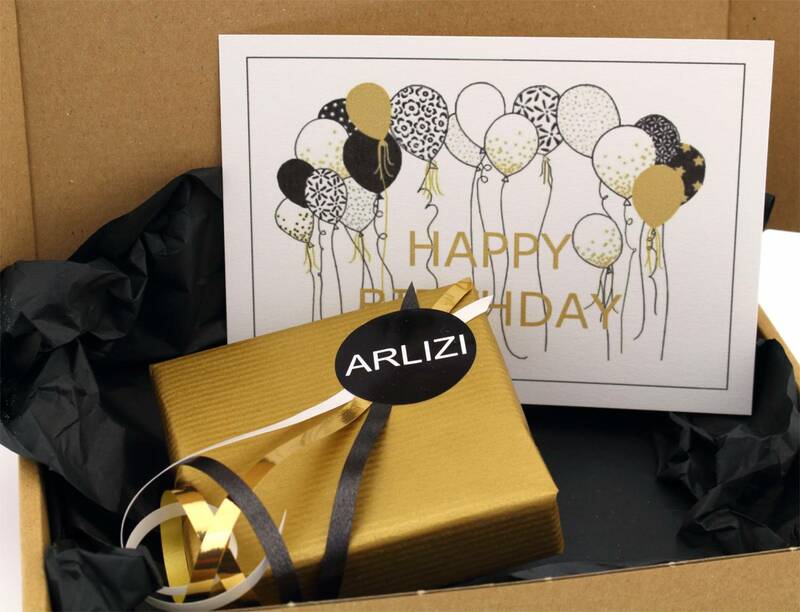 At ARLIZI we make it easy for you; find your gift and choose the greeting card that fits the occasion. How does it work? Add the birthday card to the Shopping Bag or choose another applicable greeting card and let us know which text you want printed on the back of the card. You can do this by completing this text under 'comment' during the ordering process. You can send the order to your own address and write something on the back of the card yourself or we send the card directly to the recipient of the gift. There is a wide choice of birthday cards, thank you cards, heart cards, baby cards, Christmas cards and more, browse the collection and choose your free greeting card. *A greeting card can only be ordered together with the purchase of jewelry, one greeting card per order.